The Swiss sport watch Wryst Airborne FW7 Prototype 2/2 revealed in our monthly Newsletter October 2015 is now sold. Wryst had offered a one-off exclusive piece to its current customers and email recipients. 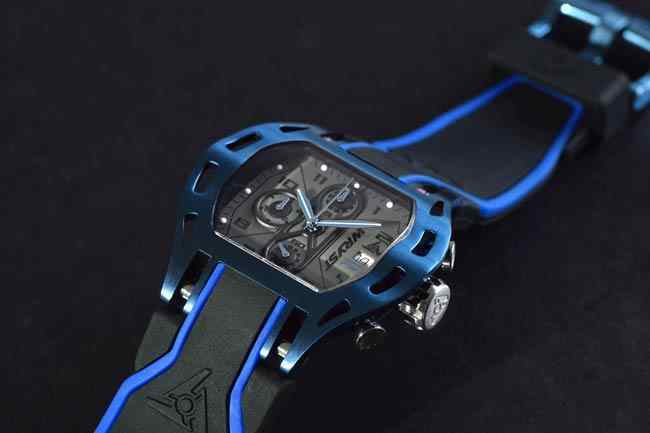 With a restricted production volumes of limited editions with serial numbers, the Swiss watch brand had released for sale a one-off exclusive piece with brushed blue anodized finish. 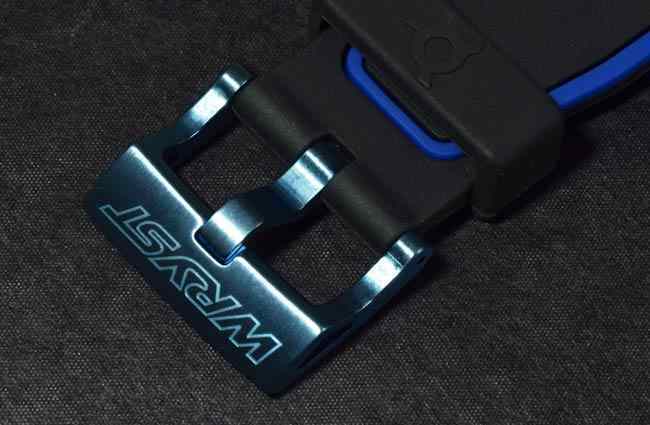 To complete the offer the FW7 also came with two high quality straps and two blue anodized buckles. Wryst has never done this before! Sometimes newsletters can be very useful and the most exciting in the world of Swiss watchmaking. Some good exclusive info can sometimes come your way and be a totally unique opportunity to purchase a piece of Wryst history. The October newsletter was sent October 23rd 2015, and one of our valuable customer contacted us the same day in response asking for more information, price & pictures. 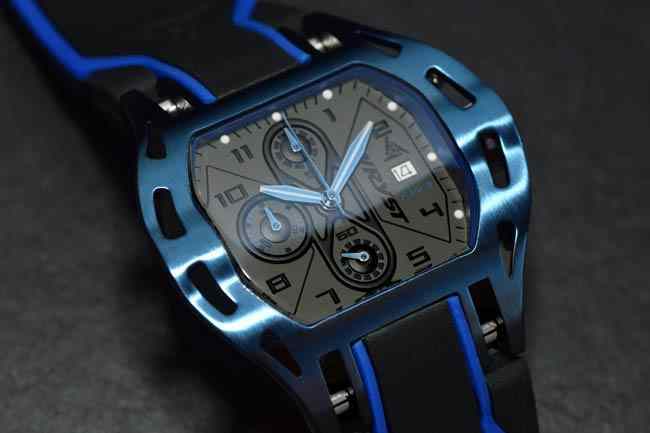 This person is now the priviledged owner of this very unique Prototype 2/2 Swiss watch. The Wryst Airborne FW7 is now history... at least in this version! 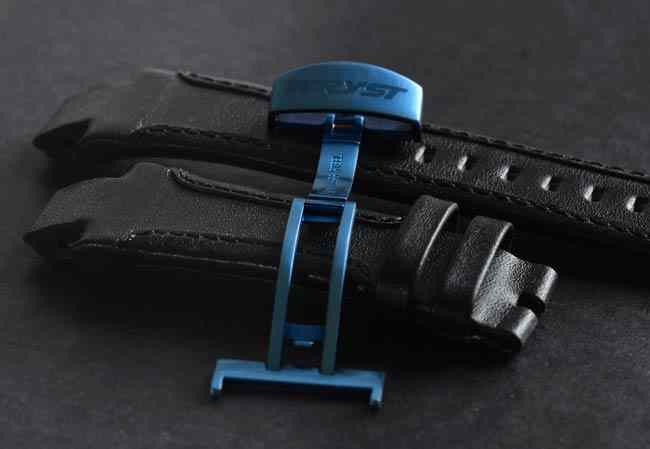 The first option with the FW7 is the Wryst's signature bi-color strap in black and blue, which is fitted with a unique blue anodized brushed square buckle. 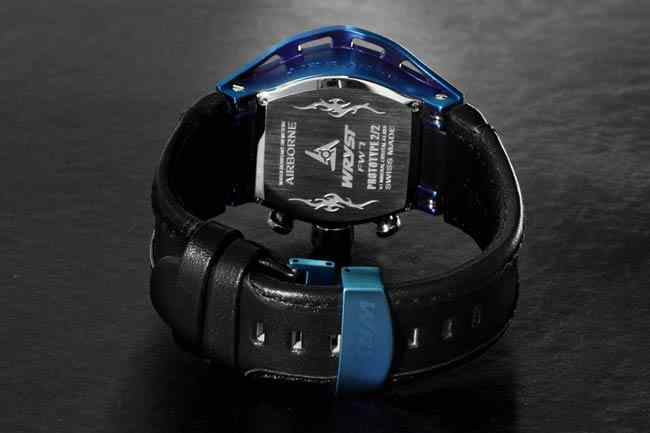 The second option is to fit the sport watch Wryst Airborne FW7 with an all-black genuine cowhide leather strap and a totally exclusive signed two blades deploying clasp, also anodized in blue. 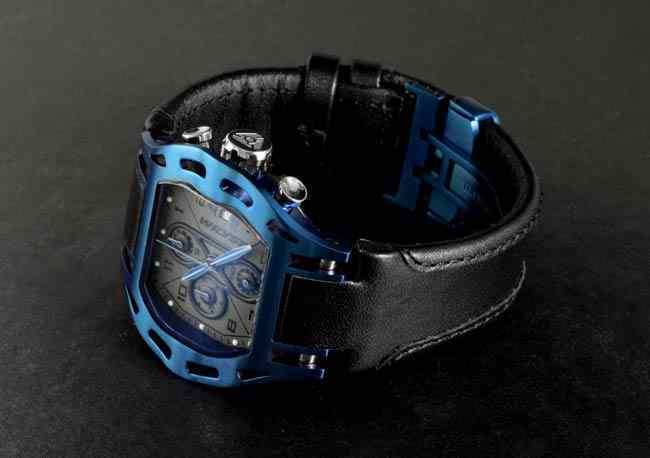 This luxury timepiece Prototype 2/2 comes with both straps. On the case back this totaly exclusive watch is engraved: "WATER-RESISTANT 100 METERS", "WRYST AIRBORNE FW7" (which is the reference also present on the slate grey matt dial), "PROTOTYPE 2/2" and "K1 MINERAL GLASS", "SWISS MADE". Each timepiece produced by Wryst is totally unique and part of a limited edition, this timepiece is a prototype which will only ever be produced as part of this lot of two prototypes: 1/2 and 2/2. The case side at 9 hour is engraved "AIRBORNE". CONGRATULATIONS TO THE BUYER OF THIS TIMEPIECE!